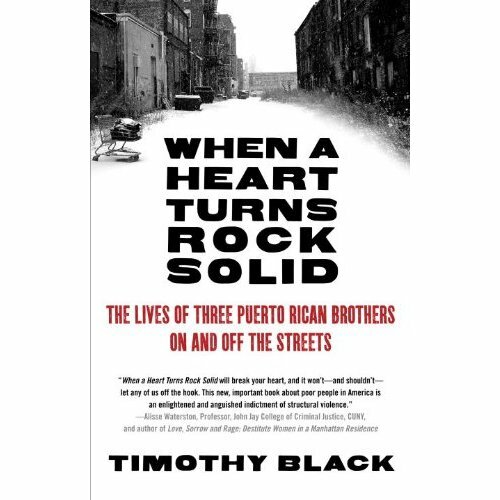 When Heart Turns Rock Solid: The Lives of Three Puerto Rican Brothers On and Off the Streets, by Timothy Black. This book is an ethnographic study, and tries to honestly present the stories of the lives of three brothers and their families in Springfield, MA. It is a powerful work. It was especially interesting to me because it is about life in our church’s city. I have thought about having a book study through the congregation on it, but the language is a little harsh at times. I still may though, because it is an important work.